Database Specialist - Daniel Foundation, Inc.
Grant Writer & Administrator- Ability Housing, Inc. The position of Donor Coordinator will report directly to the Executive Director of Advancement and will provide administrative support for the Office of Development. • Provides frequent ongoing maintenance and integrity of the Donor Perfect software to track prospective and current donor records, including ad hoc reporting requests, frequent updates to the database, and regular reporting of donor activity. • Coordinates frequent communications and outreach to support external donor development and stewardship. • Manages stewardship activities, including regular reporting to donors, scheduling visits, and ensures proper representation of donor identity commitments: signage, website listings, e-newsletter articles, logo placement, annual report listing, donor wall recognition, and social media and other applicable promotional materials. • Coordinates a variety of administrative activities related to donor attendance and involvement in events and programs, ensuring a seamless patron experience inclusive of the annual golf tournament and other events, as directed by the Executive Director of Advancement. • Works collaboratively with the Executive Director of Advancement and Guardian’s board members to achieve annual funding goals to support the Mission of The Guardian. • Provides support to the Executive Director of Advancement in preparation for board meetings. • Collaborates with the Executive Director of Advancement to assess ongoing needs of The Guardian Catholic Schools to develop proposals for corporate and state funding opportunities. • Partners with various foundations to apply and manage grant applications, fulfillment and reporting processes. • Writes and edits grant requests, donor letters, corporate sponsorship proposals, final reports, and other correspondence, as required, necessitating a high degree of persuasive professional writing skills. • Develops the design layout, writes articles, and prints and mails The Guardian Catholic Schools Newsletter. • Responds to specific and routine work assignments, as well as special projects from the The Guardian Catholic School, necessitating great attention to detail, priority, and deadlines. • Screens, prioritizes, and routes phone calls to the appropriate personnel or provides direct assistance to individuals within scope of authority and responsibility of the position, necessitating a high level of professionalism, empathy, tact, courtesy and diplomacy. Contacts and conversations frequently involve confidential/sensitive matters necessitating a high degree of discretion. • Greets and receives visitors in a courteous and professional manner, directing them to the appropriate parties. • Receives and distributes incoming mail and assures that outgoing mail is sent in a timely fashion. Handles office mailings and distributes materials to commission. • Creates neat and professional correspondences as assigned; free from error and with good grammar and proper English; proofreads and edits materials; duplicates and distributes materials as necessary. • Provides research, data entry into multiple databases, accurate and timely filing; organizes and maintains a neat and efficient filing system, and creates, updates, and maintains accurate databases, electronic files and other records and information. • Must be able to schedule all necessary accommodations for meetings, visits, conferences, flight, hotel accommodations, ground transportation, and other travel arrangements. • Responsible to pay great attention to schedules, paying special awareness to deadlines, reoccurring important dates, obligations and commitments, and providing timely reminders as necessary. • Must have knowledge of the Catholic faith and possesses a working knowledge of the Catholic Church. • A minimum of a Bachelor’s degree with at least 3 years’ professional experience in the not-for-profit Development field. • Ability to maintain a high level of attention to detail, accuracy, and efficiency; a person with superior organizational skills. • Experience and skills in researching, data collection, and organizing and preparing data for analysis is preferred. • Knowledge and skills in the use of technology, as well as continuously looking for ways to use technology to make the office and individual work responsibilities more effective and efficient. • Must consistently demonstrate a positive, friendly, respectful and caring attitude with colleagues, the public, and all one serves in word and deed; projecting a welcoming atmosphere to all who visit the office. • Must be able to organize and prioritize work, be proactive, take initiative, resolve complex problems, follow through, and simultaneously manage multiple priorities. • Requires a high level of proficiency and expertise in Microsoft Office – Word, Excel, PowerPoint, Publisher, and Outlook – as well as Photoshop with photo-editing tools, and Adobe. • Must be proficient in English grammar with excellent research, interpretive, writing, proofreading, and editing skills. • Ability to work flexible hours, including evenings and weekends, to accommodate events. • Must successfully pass the required criminal background check prior to employment and every five years. Ability to read, analyze, and interpret general business periodicals, professional journals, technical procedures, or governmental regulations. Ability to write reports, business correspondence, and procedure manuals. Ability to effectively present information and respond to questions from groups of managers, clients, vendors, employees, and the general public. While performing the duties of this job, the employee is regularly required to stand; walk; sit; use hands to finger, handle, or feel; reach with hands and arms; climb or balance; stoop, kneel, crouch, or crawl; and talk or hear. The employee must regularly lift and/or move up to 20 pounds. Specific vision abilities required by this job include close vision, distance vision, and ability to adjust focus. The noise level in the work environment is usually moderate. Position may require some evening and weekend hours. This position will be responsible for managing and maintaining the donor database, ensuring the consistency and integrity of the data. The position will also produce department reports and data information as needed. This position will require other administrative duties as assigned as well as interface with donors as assigned. • Establishment of process protocol for use of the database, along with creating (and updating) documentation and training on the software for users. • Configuration and maintenance of various tables within the database to provide ease and consistency of reporting. • Maintain donor database access and security settings for all users. • Facilitate ongoing database clean-up activities to improve data consistency and ease of retrieval and reporting. • Perform regular quality control audits of gift entry data. • Network with other non-profit Database Managers within the community to support and share best practices. • Provide technical assistance and training to all department personnel in the use of the database. • Generate donor and gift reports for the President/CEO, department administration, and other stakeholders. • Assure all corrections and updates for the donor base are achieved on a regular basis, including correct addresses, telephone numbers, cell phone numbers, email address etc. • Assure all segmentations for all solicitations and activities including individual profiles for staff solicitation, direct mail, events – keep all records current and accurate..
• Assure data entry of updated donor information collected by development officers. • Administration of donor recognition lists. • Assist in finding “lost” donors. • Database management experience in fundraising environment is necessary. • Bloomerang donor database experience preferred. • Excellent computer skills including Microsoft Word, Excel and comparable database. • Strong interpersonal and organizational skills, maturity to handle sensitive and confidential information. • Must be able to multi-task, be a self-starter with good initiative and use good judgment. If you are passionate about making a positive difference and want to join the largest, oldest, and leading premier nonprofit organization within child welfare, Children's Home Society of Florida is for you! The Director of Development for the Coggin College of Business is responsible for all development activities in the college. - Identify, cultivate, solicit and provide stewardship of major donors for college initiatives at the level of $100,000 or more and attain annual financial goals. – Provide staff support to the college’s Business Advisory Council and Alumni Chapter. – Plan and staff the college’s annual fund drives. – Work with Dean, faculty and staff of the college to identify areas for which external support for the college and its programs is appropriate and necessary. – Work with Dean, faculty and staff of the college in developing strategies and materials for attracting external support for the college. – Nurture long-term relationships on behalf of the college with contributors including individuals, corporations and foundations. – Work with the Director of Annual Giving to coordinate college participation in direct mail, phonathon and faculty and staff fund drive. – Attend Development and Alumni Affairs team meetings. – Prepare an annual calendar of college public events to serve as both public relations and fundraising tools for the college development program. – Develop an annual report of college development activities and accomplishments. – Assist Alumni Services for CCB alumni needs. – Supervise an assistant director of development, secretary, web site developer/graphic designer and student assistant. – Complete other duties as assigned by the Dean or Assistant VP for Development in consultation with the Dean as they relate to a comprehensive, university-wide campaign. During declared campus emergencies, this position may be required to perform specific job related duties at a designated off campus location or place of residence. Bachelor’s degree from a regionally accredited college or university in a directly related area of specialization and three years of experience directly related to the job functions. Applicants must complete an online application at www.unfjobs.org in order to be considered for this position. If you have any questions about this position, please contact Amelia Rubino at (904) 620-1891 or at amelia.rubino@unf.edu. This position is responsible for raising major gifts to meet the priorities of the college. This includes carrying a major gift portfolio of 130 major gift prospects and soliciting planned gifts. The position also works with academic departments to facilitate their fundraising needs and works with the donors associated with the advisory board that supports the department. This position will also help raise support for the needs outlined in the approved strategic plan. Significant travel is required. Represents Flagler College in the most positive manner with prospective, former and current students, clients, suppliers and the community we serve. Interacts effectively with a diverse group of faculty, staff, students and other customers of our services, learns and uses operating practices of the department and Flagler College. Upholds the Mission Statement: Flagler College – an inclusive community dedicated to the transformative power of learning. Solicits major gifts using a moves management process. Maintain a personal visit schedule of 150 to 200 face-to-face contacts per year including first time discovery visits. Presents 18 to 22 major gift proposals per year. Works with an assigned academic department and the associated advisory board. Demonstrates teamwork, working with other departments and faculty to meet the funding needs for the college. Utilizing RE database to document call reports, historical records, giving history and communications with donors and prospects. Develop proposals for major gift prospects, and execute those strategies. Represent the College and provide assistance at various events on and off campus. Record in Raiser’s Edge all contacts with prospects and proposals submitted. Strong proven interpersonal skills to deal effectively with donors, internal organizational leadership, Institutional Advancement staff, as well as donors and prospects and their advisors. Integrity coupled with the ability to engender trust and confidence. Strong communication skills, articulate, conceptual and persuasive. Goal and task oriented with strong organizational skills. Abilities: Extensive travel, including some night and weekend work, is required. Ability to work autonomously in carrying out assigned responsibilities while answering formally to the Executive Director for Institutional Advancement. Lifting occasionally up to 20 lbs. Must qualify for valid Florida driver’s license and the ability to drive a car. To apply please submit resume and cover letter (applications submitted without a cover letter will not be considered) here: https://www.indeed.com/viewjob?from=company%2CiaBackPress&jk=3363b91861a78520&tk=1d6e3aoppaqgs800. Ability Housing’s vision is a society where housing is a right, not a privilege; and all individuals have safe, affordable housing in vibrant communities. Our mission is to build strong communities where everyone has a home. To achieve these, we develop and operate quality rental housing affordable to persons with extremely limited incomes; administer rental assistance to help chronically homeless households access market housing; and partner with service organizations to ensure our residents have the supports they require to maintain their housing and increase self-reliance. Reporting to the Strategy and Development Director, the Grant Writer is responsible for understanding the agency's mission, programs and impact; researching and identifying grant opportunities, including larger, multi-dimensional opportunities; drafting and submitting grant applications; and conducting appropriate reporting and follow-up. Position is a full-time, exempt position. Regular daily (work week) presence is required. Ability Housing, Inc. offers a competitive compensation and benefits including, medical, dental, vision, life, long-term disability, paid vacation and holidays days, and retirement. *Manage a personal portfolio of 100 to 125 individual donor prospects. *Manage foundation relations including research, grant proposal writing, and stewardship. *Oversee a prospect management process that supports the Board of Directors, the Executive Director, Mission Center Directors and Development staff. *CFRE certification not required but will be considered an asset. Reporting to the Foundation Vice President and Executive Director, a member of the Foundation leadership team, the Assistant Executive Director provides leadership and direction for all development programs. This entrepreneurial leader will establish a sustainable, comprehensive, major-gifts-focused development program to support and further Community Hospice & Palliative Care’s mission. The Assistant Executive Director oversees a five member Development team. Work closely with the Foundation’s Vice President and Executive Director in the overall planning and strategic development of organizational funding priorities. Demonstrated ability to provide management oversight, leadership, and direction with at least five years of senior-level development management experience, including creating and managing a budget. Manage a portfolio of 100-150 major gift prospects, conduct personal visits and solicit major gift prospects annually. Provide leadership and management to a Community Advisory Councils with a focus on volunteer engagement/education, fundraising, and community relations. Demonstrated ability to strategically move individuals and institutions across the spectrum of prospect development. A history of securing major gifts, including cultivation through solicitation and stewardship, as well as experience working with annual giving strategies for grooming the next generation of annual leadership and major gift donors. Highly developed skills in organizational efficiency and project leadership, including demonstrated accomplishments while working with CHPC teams and departments. Participates in professional activities for the purpose of keeping current with trends and issues that relate to resource development. Bachelor’s degree or equivalent combination of education and 3-5 years of experience in major gift fundraising. Principals and techniques of major giving, corporate giving, and charitable event planning. Successful experience in soliciting and closing major gifts from individuals and corporations. Communicating effectively in both written and oral forms with donors and board members; exhibiting independent judgment in the development, implementation and evaluation of plans, procedures and policies. Working in a development office environment with a proven track record of achievement in progressively increasing results in fundraising efforts. Ability to work effectively in a team environment with sound judgment and the ability to handle matters of a sensitive and confidential nature. Flexible to work beyond regular hours including early mornings, late nights and weekends as necessary. The Child Cancer Fund (CCF) needs a Program Assistant to provide support to the Executive Director for the day to day operations of the organization according to the stated mission, philosophy, goals, and objectives. The ideal candidate understands the needs of families dealing with the impacts of childhood cancer. He or she should be able to work with families and the clinic to deliver and support our programs and services. Responsible for the overall direction of the Annual Giving department, including fiscal/budget management. Plan and execute a systematic fundraising program to provide financial support for the university’s annual giving program. Design and implement departmental strategies and objectives to ensure departmental goals are met. Develop and/or supervise the implementation of programs, policies & procedures and technology initiatives. Serve in an advisory capacity, providing coaching and consultation. Develop proposals, recommendations and reports for senior leadership. Collaborate with senior leaders to integrate departmental objectives that impact the university. During declared campus emergencies, this position may be required to perform specific job related duties at a designated off campus location or place of residence. A Master’s degree from a regionally accredited college or university in a directly related area of specialization and six years of experience directly related to the job functions; or a Bachelor’s degree from a regionally accredited college or university in a directly related area of specialization and eight years of experience directly related to the job functions. -Knowledge of University mission, services, policies and procedures. -Knowledge of alumni and donor segmentation. -Detailed knowledge of and commitment to professional standards and practices. -Developed management and planning skills. -Computer literacy skills including knowledge of Word, Excel and PowerPoint as well as competence in word processing and database management, preferably including Raisers Edge. -Able to forge strong working relationships with others and a capacity for engaging confidence and trust among donors, alumni, parents and friends of the University of North Florida. -Strong communication, presentation and writing skills. -Ability to conduct personal solicitations and manage volunteers. -Well-developed interpersonal skills and ability to balance and move forward multiple projects. This position requires a background check. In conjunction with the University’s policy, this position may also require a credit check. The holder of this position is designated as a “Responsible Employee” pursuant to their role under Title IX. Therefore, the incumbent must promptly report allegations of sexual misconduct, sexual violence, and child sexual abuse by or against any student, employee, contractor, or visitor to the University’s Title IX Administrator or any divisional Title IX Coordinator. The Jacksonville Symphony is recognized as one of the best in the country through the quality of its performances and innovative programming. Courtney Lewis, the Music Director and Conductor is recognized as one of the most talented conductors in his generation. Plans for the Symphony include many creative performances for the 2019 fiscal year and beyond. The Advancement Events Coordinator is responsible for planning, promoting and producing a season of activities that steward and cultivate the Jacksonville Symphony’s donors and prospects. Responsibilities include arranging gatherings that from a small, high-end dinner to an event for hundreds of Symphony supporters. One of the largest tasks is the planning and management of the Symphony’s Annual Gala held each spring. The Symphony is seeking individuals with planning, coordinating and overseeing corporate or large scale cultural events, the ability to develop a budget and execute events to plan, using resourcefulness and creativity in developing experiences that fit the aesthetics of the Symphony’s brand and the interests of the audience being entertained. The Jacksonville Symphony offers a competitive salary, commensurate with experience, and a comprehensive benefits package including medical, dental, vision, disability insurance, a 403(b) plan and flexible paid time off. Interested candidates should send their resume to bmckenzie@jaxsymphony.org. Working with the Development Team, support and expand philanthropic initiatives, including management of museum member groups, corporate sponsors and individual mid-level and major gifts that support the Museum and Gardens. • Support the Museum’s mission, vision, and values by exhibiting the following behaviors: excellence and competence, collaboration, innovation, respect of individuals, commitment to our community, accountability and ownership. • Identify prospects, cultivate, and solicit individual and corporate donors and sponsors with special emphasis on unrestricted giving to meet goals. Steward and build strong relationships with donors through the member and recognition programs. Manage individual donor benefits, acknowledgements, stewardship activities and programs. Maintain donor CRM database in an orderly manner. • Work closely with the Chief Advancement Officer to build a strong, sustainable philanthropic infrastructure for the Museum and Gardens that integrates the highest level of efficient and effective fundraising strategies and tactics. • Attend and supervise donor and prospect cultivation events and stewarding opportunities. • Quickly, courteously and efficiently handle concerns, questions and needs of donors, members. • Cultivate community and regional support for the Museum and Gardens. • Ensure proper representation of donor identity commitments and recognition, including signage, the website, magazine and other applicable promotional material. • Follow standards and guidelines for Events and Programs for requests, planning, and execution of all activities, including event set-ups in Altru (Database and Blackbaud product). • 3 to 5 years professional experience in non-profit development. • Demonstrated background in achieving revenue goals, strategic objectives and assigned Key Performance Indicators. • Outstanding persuasive written and oral communication skills, as well as interpersonal and organizational skills. • Ability to provide superior customer service for all constituents of the Museum. • Ability to communicate effectively and with diplomacy when interacting with vendors, staff, volunteers and the public. • Knowledge of donor research techniques. • Strong contributor in team environments with ability to handle multiple assignments and meet deadlines. • Experience working in deadline-driven environments while maintaining strong attention to detail. • Database management required. Altru or Raiser’s Edge experience preferred. • Schedule may include nights and weekends due to events. • Valid Florida driver license. Qualified applicants send cover letter, resume and salary requirements to the Cummer Museum of Art & Gardens, Attn: Human Resources Department, 829 Riverside Ave, Jacksonville, FL 32204 or jobs@cummermuseum.org. Reporting directly to the President/CEO, the Director of Development oversees all activities related to philanthropic giving for operating, capital and endowment funds. In partnership with the President/CEO and other key volunteers and staff, the Director of Development provides leadership, management and coordination for fundraising, Capital Campaign and outreach efforts. He/she directs the work of two full-time positions, the Development Assistant and Special Events Coordinator in their roles in supporting Development to meet organizational fundraising goals. The Director of Development manages all aspects of the fund development program and secures funds in a wide variety of ways, including but not limited to: identifying prospective supporters, building and cultivating relationships, making direct requests to individuals for major gifts, and annual fund campaigns; asking corporations for financial support through business partnerships, sponsorships, and general operating support; seeking grants from private foundations and government entities; and overseeing fundraising events, including the SRA golf tournament and bingo luncheon. 1. Development Plan: Develop and implement an annual Development Plan, in collaboration with the President/CEO, Development Committee and Board of Directors. 2. Donor Relationships: Lead the effort to establish, cultivate and steward strong relationships with donors including development and implementation of a donor recognition program, and timely, appropriate communication with donors to increase their loyalty to SRA's mission. Lead coordination of donor stewardship and cultivation events. 3. Major Gifts: Create individual donor/prospect cultivation plans and cultivate and solicit major gifts. This includes working with members of the Board of Directors and Development Committee. at these institutions. Assure grant reporting requirements are fulfilled in a timely manner. 5. Business Support: Prospect, cultivate, and secure gifts and sponsorships from businesses. 6. Planned Giving: Research and cultivate donors for estate planning purposes, including bequests, charitable remainder trusts, annuities, legacy campaign, and other planned giving tools. 7. Fundraising Events: Provide overall direction and solicit sponsorships of special fundraising events. Support, provide information, and encourage fundraising event committees. 8. Annual Fund and Underwriting: Solicit and secure funds for general operations and a variety of programs and events. 9. Other Funding Sources: Solicit in-kind gifts, matching gifts, and other funding sources. 10. Capital Campaign: in partnership with the President/CEO, determine an overall strategy and oversee the execution of any board-approved Capital Campaigns. Remain current with all aspects of philanthropy, ensure SRA's fundraising is conducted within the highest ethical and legal standards, comply with the Association of Fundraising Professionals code of ethics, and maintain confidentiality of all donor records. Required: Bachelor's degree in related field. Minimum five years of experience of fundraising experience, directly applicable to the primary work required. Passion for the organization’s mission and initiatives. Positive, energetic, and outgoing attitude with a strong work ethic, team-player mentality, and willingness and ability to adapt to changing scenarios. Out-of-the-box strategic thinking, self-motivated, committed, and ability to implement plans that support moving the organization forward. Preferred: Experience with Capital and Endowment Campaigns. Certification specializing in fundraising credentialed from the Certified Fund Raising Executive (CFRE) International. Full-time, exempt position with health, retirement, vacation and other benefits. Salary negotiable and commensurate with experience. Some weekend and evening work required. Submit resume, list of three references, and cover letter detailing experience as it relates to the position and motivation for applying, as well as salary requirements to cstephens@sramail.org. Applications will be reviewed on a rolling basis. We are seeking a Human Resources Manager. This position acts as a strategic business partner, providing Human Resources leadership and support to the various programs throughout the company. This position will lead all human resource initiatives, programs and policies for the company including: recruitment, selection and assessment, employee development, employee relations, compensation, performance management, disability leaves, training, succession planning and payroll administration. The position is located in Jacksonville, Florida and reports to the Chief Financial Officer. Help in developing and refining effective methods or tools for talent selection to ensure the right people with the desired level of competence are brought into the organization. Maintain an orientation procedure for onboarding new hires and establish training schedules to meet the needs of the company. Update and maintain a list of procedures and practices for hiring and terming employees. Communicate with employees about compensation, benefits and other facets of their employment. Participates, prepares recommendations, information and input for salary considerations including: merit, bonus, adjustments and promotions, giving focus on pay for performance and salary benchmarks for company-wide reviews to enhance the company’s compensation practices. Compiles data from personnel records and prepares ad hoc reports for management as necessary. Maintains current notary status for agency preferred. Make-A-Wish of Central and Northern Florida seeks a candidate with a minimum of 1-2 years non-profit, sales, or marketing experience. The successful candidate will have experience in outside sales and managing corporate accounts with excellent organization and time-management skills. Job Description Summary: The Development Coordinator offers logistical and fundraising support for the three internal events (Wish Madness, Walk for Wishes, Handbags & Happy Hour) in Jacksonville. With a strong focus on execution as well as innovation, this position is responsible for ensuring successful event execution, including logistical preparation, vendor management, auction procurement and data-entry, and any other tasks needed to make our events and partnerships successful. Additionally, the Development Coordinator is responsible for meeting the fundraising goals set by the chapter for Jacksonville’s external events (also known as third-party or community events that benefit Make-A-Wish), national corporate sponsorships, Adopt-A-Wish program and Kids for Wish Kids. This job requires a dynamic, motivated, energetic, and personable individual with a go-getter attitude and a drive to meet and exceed budgetary fundraising goals. o Collecting and organizing attendee and participant information pre-event utilizing OneCause, TeamRaiser, and other platforms. o Creating invoices and following up with sponsors for prompt payment and recording payment details in appropriate budget sheets. o Oversees all details of the silent and/or live auctions for Handbags & Happy Hour, Wish Madness and Walk for Wishes. o Assistance with in-kind donor solicitation and strategy. This includes prospecting of new donors as well as filtering through past donors to build master prospect list for auction items, goods, and services for events. o Creates multi-event asks and proposals when appropriate. o Processing of donated items once received, including data entry, tracking, and organization. o Serves as liaison for all vendors and partners for internal events. o Cultivate and solicit in-kind donations for events. Identify needs of the chapter and determine how we could be more strategic with asks to ensure we are receiving the most from the partnership. Whenever possible create multi-event asks. o Facebook event management for all internal events ensuring that sponsors are properly thanked, a variety of posts are created and are visually appealing, and ensuring that posts are engaging to participants and attendees. o E-mail creation and scheduling for internal events that follows the timeline and e-mail plan that the Development and Events Managers have created. o Serve as lead for wish families for event day. This includes recruitment, sending itineraries, and being their day-of point of contact. o Serve as a liaison for vendors and partners pre-event, day-of, and post-event. o Works with Volunteer Coordinator and in collaboration with the volunteer chairperson for event to ensure appropriate number of volunteers are recruited and job descriptions are updated for Handbags and Happy Hour, Wish Madness, and Walk for Wishes. o Assist with registration drives, company team captain kick-offs and lunch and learns for Jacksonville Walk for Wishes. • Manages a portfolio of external event partnerships and is responsible for achieving the annual budgeted revenue goal of approximately $100,000. • Reviews and evaluates external fundraising proposals – works with the Development and Events Manager and the Vice President of Development to determine the feasibility of these events. • Initiates new fundraising opportunities with local businesses, schools, clubs and organizations, and community events. • Coordinates appropriate support for these activities ensuring the donor has the agreed upon supplies, materials, board, volunteer, and wish family representation. • Attends and speaks about the organization at kick-off parties as necessary to encourage and motivate employee and guest participation and support. • Attends and speaks about the organization at check-presentations – ability to attend in the evenings and on weekends as needed. • Responsible for any follow-up with external event and KFWK donors to ensure Make-A-Wish receives funds. • Manages a portfolio of accounts and is responsible for achieving the annual budgeted revenue goal for national corporate partnerships. • Attends and speaks about the organization at kick-off events to encourage and motivate employee participation and support – ability to attend in the evenings and on weekends as needed. • Coordinates appropriate support for these activities ensuring the sponsor has the agreed upon supplies, materials, board, volunteer, and wish family representation. • Responsible for any follow-up with corporate sponsorship contact and maintaining a positive relationship with contact throughout the year. • Solicits and secures local corporate support for our Adopt-A-Wish program. Other duties as assigned including support for grant applications, Wish it Forward program, and other administrative tasks for the Development department. • Bachelor’s Degree (Business or Non-Profit Management preferred) and 1-2 years of experience in sales, business development, marketing or fundraising. The Fund Development Manager handles all aspects of the Walk to Defeat ALS®, the signature fundraising program of The ALS Association Florida Chapter, and all other fundraising initiatives to achieve budgeted annual revenue targets for walks, endurance events, community events, and all other fundraising initiatives in the assigned region. Our Walk to Defeat ALS takes place in ten locations around the state, generating vital proceeds for patient care and comfort, as well as research for treatments and a cure. Therefore the successful candidate must be experienced in all aspects of fundraising including Peer-to-Peer fundraising and event management. Focus is on developing and growing new and existing Walks, endurance and all other designated events, including teams, team captains, individual walkers, and corporate teams. Advance donor solicitation and stewardship activities. Responsible for the management and financial development for Walks, endurance and all other fundraising events in designated territory. Use all tools available to continually network to identify, recruit and secure sponsorship income for Walk, and/or other events in the designated territory. Create and conduct individual and corporate recruitment presentations to secure corporate teams and sponsorship dollars. Responsible for recruiting and building strong Walk teams and committees to secure maximum income growth. Serve as the point of contact for all forms of communication for participants, team captains, corporate sponsors, committee chairs, volunteers, and community leaders. o Network to identify, recruit, cultivate, and retain new and existing Community Partner Events, and/or other endurance events. o Create and implement the annual stewardship and acknowledgement plan for Community Partner Events, and/or other endurance events. o Manage tracking system for Walks, Community Partner Events, and/or other endurance events for reporting and fulfillment purposes. Work in conjunction with the Director of Marketing and Communications to help execute all marketing communication efforts relating to local and community events in respective territory. These communications can include television and radio interviews, print communications, and social media. o Participate in the planning of long-term and short-term development strategies to solicit funds and meet fundraising targets for the Walk to Defeat ALS® and/or other events in the designated territory. Work with Director of Development, Walk, and all other event committees to create budgets for each event in assigned territory. Operate within set budgetary guidelines. Establish projected income goals, develop, and implement plans and strategies for meeting income goals for each Walk and/or other events in the designated territory. o The plan will include a timeline for each Walk “season,” and must include deadlines, sponsorship inclusion, material ordering, mailings, etc. o Network to identify overall market potential to implement new Walk, endurance, and/or other event markets in the territory through recruitment of event volunteers, volunteer groups, and committees. Coordinate all aspects of implementing the Walk to Defeat ALS® program, and/or other designated events in the territory. Coordinate and manage committee meetings, kick-off events, post event celebrations, and all other related activities in the assigned territory. Required to plan and execute annual awareness luncheon. 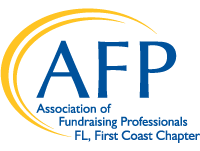 Strategically identify corporations and local businesses with the intent to introduce ALS and the Florida Chapter to secure community support. Outreach to secure in-kind donations for events in the territory. Recruit and identify volunteers in your territory to ensure strong committees, Chairs, and event support. Work in conjunction with the Chapter’s Volunteer and Event Manager to provide volunteers with clear, concise objectives, expectations, job descriptions, and goals to ensure successful events. Pull and prepare reports to collect and analyze data for reporting purposes. Reporting provides needed data for events, committee meetings, leadership, etc. Prepare agendas, minutes, presentations, proposals and reports using Excel, Word, PowerPoint, and Publisher. o Maintain explicit database notes in order to ensure all donor and vendor contact information is accurate for follow-up and development purposes. Ensure all materials provided and utilized are in accordance with National and Chapter policy and best practices. Must have impeccable grammar, able to proof read, is detail oriented, able to format letters, agendas, and reports using Microsoft Office programs, specifically Excel, Word, PowerPoint and Publisher. Manage tracking tools and spreadsheets. Prepare and update necessary materials as needed to ensure all sponsorship logos and information are included as required to guarantee accurate sponsor fulfillment. Responsible for updating, ordering, maintaining, and distributing all materials for Walk, endurance, and all other fundraising events in designated territory. o College degree or the equivalent combination of education and work experience. o 3 – 5 year’s progressive experience in all fundraising methods including but not limited to Peer to Peer. A proven track record of fundraising success is required. o Management of special events required, preferably walk event experience. o Experience with volunteer management. o Commitment to accuracy, highly organized, excellent attention to detail, highly efficient and conscientious with thorough follow-up. Impeccable spelling, grammar, and punctuation skills. o Skilled communicator, with superior interpersonal, verbal, and written skills. o Able to handle confidential information and maintain high confidentiality. o High degree of initiative, self-motivated, and resourceful. o Ability to work under, and comply with, continuous and multiple deadlines and evolving priorities. o Possess ability to follow through with commitments. o Team player who enjoys interaction with professionals, peers, volunteers, and those served by the organization. o Experience with Word, Excel, and PowerPoint; intermediate level preferred. Publisher experience desired. o Professional, tactful, react well under pressure, mature work attitude, reliable, resourceful, and respectful to others. Personable, yet professional and confidential. o Must comply with mandatory dress code. o Willing and able to commit to a minimum of 45% travel in designated territory to steward constituents and identify new teams, sponsors and volunteers. o Must have and maintain a valid driver’s license and a good driving record. o Must maintain insurance on a vehicle driven for business purposes. o Must pass a satisfactory background check, drug test, and motor vehicle record check. o Able and willing to travel within the state of Florida. May require occasional travel outside of Florida for regional or national meetings. o Willing and able to drive a cargo van or car within the state of Florida. o Employee must occasionally lift and/or move items, typically no more than 50 pounds. o Frequently required to stand. o Frequently required to walk. o Frequently required to sit. o Occasionally required to climb, balance, bend, stoop, kneel or crawl. o Occasional exposure to outside weather conditions. o While performing the duties of this job, the noise level in the work environment is usually moderate but may be louder during events. The MaliVai Washington Youth Foundation is a 22 year old organization operating in the urban core of Jacksonville, FL. Our mission is to develop champions in classrooms, on tennis courts and throughout communities. We currently manage an after school and summer youth development program with an $1.2 million annual budget and are in the midst of a $5 million capital campaign ($3.5m raised) to build a new Teen Center, adjacent to our current Youth Center. Our vision is that the young people who participate in our programs will be provided with the resources they need to rise to their full potential and become contributing members of society. The MaliVai Washington Youth Foundation is seeking a Director of Community Engagement and Fund Development who can continue to implement our overall community engagement plans while expanding and engaging new sources of support for our mission. The Director of Community Engagement & Fund Development’s primary responsibility is to provide opportunities for engagement with MWYF for donors, granting organizations, volunteers and the media as well as raising funds for the organization. The ideal director will be someone who understands and can become passionate about the MWYF mission. S/he will bring strong fundraising, marketing and communication skills to the organization. This is a unique opportunity as all staff is located in the same building as program services and involves interaction with children and youth from Kindergarten through High School on a regular basis. This Director reports to the Executive Director and is part of the Senior Leadership Team which also includes the Director of Program Services and Business Services Director. The Director currently has supervisory responsibility for two staff members which may grow over time. •Improve and maintain opportunities for engagement through grants, donations, volunteers, communication, and special events. Enhance the development of and implement a comprehensive community engagement plan. •Manage and increase the effectiveness and efficiency of all external communications and fundraising, including special events and grants. •With staff, ensure all areas of community engagement and fund development are managed effectively and efficiently to ensure continued support of MWYF programs and services. •With Executive Director, review and revise job descriptions and division of duties among staff. •Recruit (when needed), train, supervise and provide development opportunities for direct reports. •With other members of the Leadership Team, ensure that there is a seamless coordination between Program Services, Community Engagement and Business Operations. •With Executive Director, responsible for annual revenue goals. •Assist with grant development, application submission, coordination and reports. •Develop and implement a community awareness speaking campaign including Rotary Clubs, Tennis League Luncheons, Corporate events, Volunteer Fairs, etc. •Develop and implement a comprehensive social media plan including linking and regular postings to FaceBook, Twitter, Instagram, Blogs, YouTube and others. •Assist with board engagement including ensuring minutes and board communication are up to date. •Oversee volunteers, mentors and partner organization engagement. •Proven experience developing relationships with donors, volunteers, and others. •Knowledge of or experience working in a non-profit environment. •Ability to lead a team and work as a member of a team. •Self-Starter with a proactive nature and ability to problem solve. •Paid Holidays: New Year’s Day, MLK Day, Memorial Day, July 4th, Labor Day, Thanksgiving & day after, Christmas Eve, Christmas Day, week between Christmas and New Year’s Day. Send Resume & Cover Letter to terri@malwashington.com. No phone calls, please. As the Director of Major and Legacy Gifts you will design, develop and implement our Major and Planned Giving Programs. You’ll be responsible for identifying, cultivating, and soliciting major and planned gift prospects. An ability to empathize with donors and clearly communicate our mission is critical. You’ll be expected to energize team members and inspire prospects. The Development Assistant will further the mission of Community Hospice by providing excellent and energetic fundraising support for Community Hospice Foundation. The Development Assistant is responsible for administrative operations of the Foundation, which includes support for donor cultivation, volunteer management, special events and gift processing as well as management of day to day administrative items. •Provide administrative support to the Foundation Board, Sr. VP of Community Engagement and Philanthropy and Executive Director as assigned. •Schedule all board and committee meetings, lunches and prepare materials, taking and distributing minutes as required. •Provide administrative support for CHF special events: 1) Assist with coordinating event mailings and weekly memorial mailings—save the dates, invitations, attendee and sponsor thank you letters 2)Manage the event RSVP’s and document event responses in Raiser’s Edge 3)Assist in securing and managing volunteers for these efforts 4) as needed, assemble and mail event sponsorship packets and log info into Raiser’s Edge 5) Assist at special events, as needed, which may require occasional weekends and after hours. •Provide administrative support for donor cultivation and stewardship by assisting Manager, Annual Giving and Stewardship in acknowledging donors for their gifts by coordinating mailings and phone calls for major gifts team. •Adhering to the daily process and direction established by the Executive Director, place and track donor thank you calls working with CHF volunteers as available. Assist in developing relationships with donors and volunteers in the course of normal activities being alert to those who may be candidates for more involvement, additional cultivation and larger gifts. •Support the Foundation Board; prepare all board materials as needed meeting all CHNE/CHF and regulatory organization deadlines, attend all CHF board meetings and record and disperse the minutes thereof. Maintain accurate and current files for all CHF board members and related activities/documents. •Manage volunteer needs, including administrative volunteers and scheduling of event volunteers as assigned. •Ensure appropriate work assignments, training and oversight. Proactively work with CHF staff to identify tasks that are appropriate to assign to volunteers. Track Obit Messenger and Suncoast reports daily to ensure up-to-date entry of new records in Raiser’s Edge. Prepare/proof obituary letters for families. •Provide administrative support for office as assigned. 1) order lunches, supplies and other event oriented items; manage the logistics for these items as needed 2)maintain office and conference room supply inventory (including guest beverages and serving supplies) 3)maintain records of orders for office supplies, facilities and IT requests 4)maintain all common and receiving areas of the Foundation offices to “guest-ready” cleanliness and orderliness standards utilizing Community Hospice of Northeast Florida (CHNE) housekeeping staff as appropriate 5)manage all incoming calls ensuring consistent coverage and excellent customer service practices; respond to incoming inquiries, directing calls per guidelines; log all calls and follow-up with appropriate staff 6)interface with CHNE IT and Facilities Departments, CHNE front desk and others as needed 7)coordinate, set-up and attend all Foundation staff meetings, taking and distributing minutes as required 8)manage CHF calendar updating as needed 9)manage monthly birthday card mailing 10)oversee all donor gift fulfillment activities and engaging CHF volunteers as appropriate 11)support CHF finance processes by a) managing Foundation event/mailing and other expenses through documentation in Excel and Raiser’s Edge b) managing weekly check request process adhering to established CHNE guidelines and deadlines. The Major Gift Specialist will work with leadership, team management and staff in initiating, strengthening, and managing strategic relationships for the Foundation’s efforts to advance philanthropic support for CHPC priorities and programs. As a member of the Foundation Major Gifts team they are responsible for supporting projects, programs and priorities as well as supporting and coordinating Foundation fundraising efforts. The Major Gift Specialist will assist the Major Gifts team with coordination of donor meetings, proposal development, producing fundraising reports (activities, pledges, donations) and managing tasks for the team. The position will also be responsible for organizing cultivation events for donors, coordinating meeting logistics and materials, generating pipeline and donor lists, and supporting donor stewardship activities, including engagement with Boards and Councils. The person in this position will be responsible for helping to plan the direction, coordination, implementation, and completion of initiatives that secure significant philanthropic resources from individuals, foundations, and corporations to support the Foundation’s mission. •Management and cultivation relationships with existing major donors, as well as identifying and cultivating relationships with prospective donors. The ideal candidate for this role will have extensive experience in generating revenue while working in a fast-paced and multi-faceted environment. •Central role in development of letters of support, proposals and reports for funders on behalf of the CHPC Foundation. Oversee the development of appropriate cases for support on the various programs and campaigns. •Establish and maintain effective working relationships with organization’s leadership, management team and staff to coordinate and develop proposals and projects as needed. Demonstrate prospect research skills and the ability to develop Foundation fundraising strategies involving leadership and staff from diverse disciplines. •Plan and manage the running of a “Moves Management” plan for the Major Gifts team. •Secure visits and meetings; prepare briefing packets for Major Gifts team and other representatives. •Establish metrics and use data to track, analyze, and prepare monthly reports to analyze progress and subsequently determine necessary actions to maximize productivity. Create and execute plans to secure, cultivate and steward sponsorships and individual donors. •Manage a donor portfolio (estimated 50 donors) by cultivating relationships through frequent communication and keeping them informed on the Foundation’s work and the impact of their contributions while being alert to those who may be candidates for more involvement, additional cultivation and giving. •Work with Major Gifts team to ensure all sponsors and donors are properly stewarded and thanked. Collaborate with the database manager to oversee timely donor acknowledgement letters, thank you phone calls and notes. •Represent CHPCF at select public speaking engagements of any size group when assigned and give tours to supporters. •Develop and execute ongoing public and community relation strategies and tactics to promote the mission and work of CHPCF with the Communications team. •Working closely with our Directors of Development to create and implement strategies to maximize our major gifts efforts and subsequently grow revenue for the organization. •Participate in events and other Foundation activities as assigned. •Keep apprised of advances and trends in the field through networking, education and journals. Bring information relevant to the Foundation and its work to the attention of Foundation staff and leadership. •Develop relationships with donors and volunteers in the course of normal activities, being alert to those who may be candidates for more involvement, additional cultivation and giving. Bachelor’s degree required. Three years nonprofit development support experience preferred with an emphasis on donor development and donor relations. •Possess a demonstrated understanding of typical office procedures, protocol and equipment. Able to use standard office software, e.g. Microsoft Word, Excel and Outlook with a high level of proficiency. •Working knowledge of Raiser’s Edge database documenting all aspects of special events and volunteer management preferred. •Excellent command of the English language including usage, grammar, spelling and punctuation; business letter and report writing techniques; modern office methods and procedures, equipment and filing systems; and office machines. •Skilled at responsible administrative work requiring independent judgment with speed and accuracy; excellent organizational skills; ability to perform more than one task at a time; the learning, interpreting and application of organizational policies, rules and regulations; taking dictation/minutes and transcribing accurately; the ability to work under pressure and timelines; interpersonal skills; good communication skills; disseminating information accurately and efficiently. •Possess a demonstrated willingness to adapt to varying work load. Can adapt to heavy workloads periods, then fill in for others on other tasks as time is available and priorities change. Willing to pitch-in to help others when deadlines are tight or the workload is heavy, e.g. preparing for major gift proposals and campaigns.